Georgia has been a fast-starting team all season, but the Bulldogs struggled out of the gate Saturday night against Auburn. Thankfully, it was just a short-term thing and Georgia’s defense shut out Auburn for the final 37 minutes of a 27-10 victory. With the win, Georgia finished SEC play at 7-1 and champions of the SEC East. Nonconference games against UMass and Georgia Tech are the two precursors prior to the SEC Championship Game against Alabama on Dec. 1 in Atlanta. 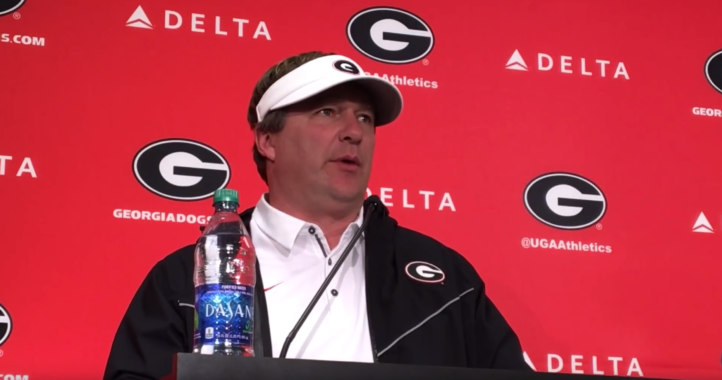 “This was a really big stretch of games for us,” Georgia coach Kirby Smart said of three consecutive games against ranked conference foes. (The players have) bit the bullet. We haven’t played perfect, and we haven’t always played smart, but we’ve played hard. 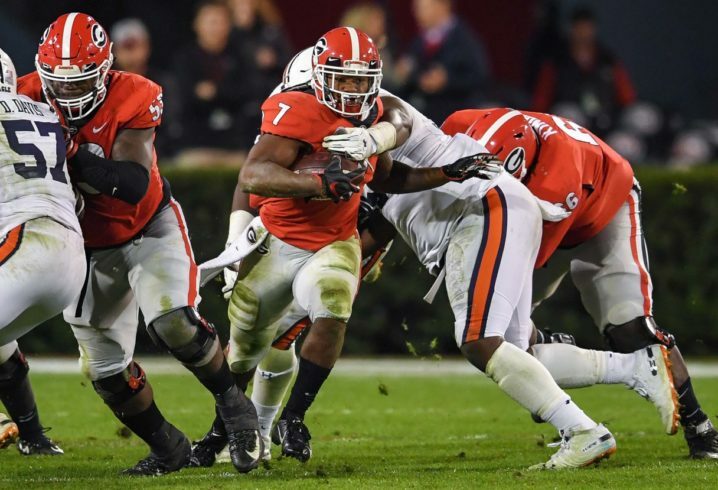 Here is what I liked — and didn’t like — about the Bulldogs’ win over Auburn on Saturday night. When we talked about D’Andre Swift as a potential Heisman Trophy candidate at the beginning of the year, this was the D’Andre Swift we imagined, the one with the speed, vision and smarts to break open a game week after week. Swift did it again on Saturday against Auburn, rushing for a career-high 186 yards on just 17 carries. The highlight was a 77-yard touchdown run that put the game on ice, and it was vintage Swift, who broke some arm tackles at the line of scrimmage, then blew past several players in the Auburn secondary on his way to the end zone. It was Swift’s third consecutive game over 100 yards and the second consecutive week he broke a long one, going for 83 a week earlier against Kentucky. Quarterback Jake Fromm had another wonderful night, going 13-for-20 passing for 193 yards, and finding eight receivers along the way. Even though he’s only a sophomore, he’s as cool and collected in the pocket as anyone. He has started 24 games now and is the undisputed leader of this team. 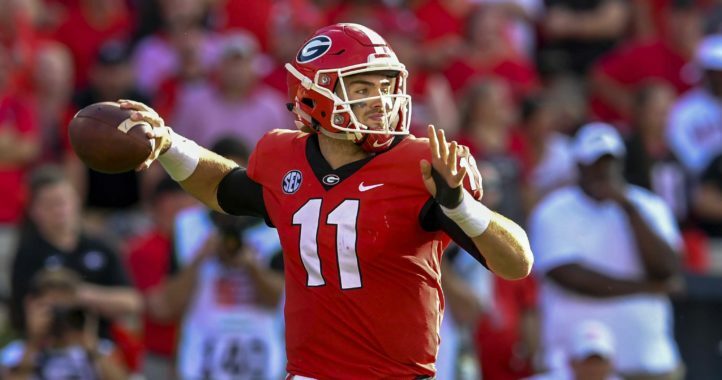 The television broadcast caught the perfect example of what Fromm means to this team. After some early struggles in the red zone — more on that in a few minutes — Fromm got down on one knee in front of his offensive linemen and made sure they remained confident — and reminded them that Fromm still had confidence in them. They dominated the rest of the way. Now, that’s leadership. Without question, the biggest problem that Georgia has faced all season is its inability to score touchdowns in the red zone. The same thing happened Saturday, when the Bulldogs scored just one touchdown on four red-zone trips. It looked like it might be an issue early, because Georgia’s first two drives got within a few yards from the end zone, but they still couldn’t score a touchdown on nine combined plays, settling for field goals. Because Auburn had scored a touchdown, Georgia trailed 10-6. This issue simply has to be corrected if Georgia is going to beat Alabama in the SEC Championship Game, because field goals aren’t going to be enough against the Crimson Tide. It’s hard to be overly critical of the Georgia offensive line when the Bulldogs rushed for 303 yards and threw for another 213 against an Auburn defense that we were led to believe was supposed to be pretty good. Heck, before the game, Georgia coaches were saying this was the best defense they had faced all year. So the numbers are great, but there is still this concern going forward. Left tackle Andrew Thomas and center Lamont Gaillard have been battling injuries for a month now, and guard Ben Cleveland is just now coming back after missing five weeks with a leg injury. The next two weeks has to be about getting all these guys healthy. This is the position group that will make the difference between beating Alabama and whoever else follows. Add the secondary play to the “don’t like” list. Ho can you put “reshuffled offensive line still not perfect” under things you didn’t like? You mention they have several key injuries and still doing great in run and pass protection for the most part. It’s almost a miracle the o-line is doing so good with these injuries. If anything, that should be under things you like as it goes to show Pittman can really coach these guys.